The two countries can not only help to stem the extremist onslaught, but also promote peace and stability in the region. The rise of the Sunni extremist group Islamic State of Iraq and Syria, and its control of vast swathes of territory and oil fields in the two countries, have put the greater Middle East region once again on the international stage. The group proclaiming the establishment of a Caliph and declaring it as the representative of all Muslims and calling them to join jihad has raised fears in democratic and multiethnic societies. In this backdrop, the role of strategic partners India and Russia – both multiethnic and pluralistic societies – is crucial, and coordination of their policies can help address the crisis. India and Russia as individual powers, as well as collectively, have since the beginning of the crisis in the Arab world have emphasized on dialogue and political resolution of conflict. The Sunni-Shia schism in Iraq is not a standalone case; it has links with the sectarian strife in Syria, which in turn has been a battleground of extremist forces, affiliated to Al Qaeda and others. The whole region is not only a sectarian bomb shell with implications far beyond the region. The energy resources and strategic location at the fault lines of some of the major religions has made Iraq subject to complicated geopolitical ambitions between the major players. Between India and Russia, the latter has better geopolitical leverage in the region. New Delhi has sought to use Moscow’s influence to address its concerns, particularly with regard to Indian citizens stranded in conflict zones. As members of multilateral bodies like BRICS, India and Russia have opposed violence or violent means of conflict resolution in the Arab world. Through its pronouncements in summit meetings and also in international forums such as the United Nations, the group has opposed any plan to use force or sanctions against Assad, and harped on political process including the Geneva talks for peace and stability in the region. The forthcoming BRICS summit at Fortaleza in Brazil this month will likely reiterate this position, in addition to denouncing extremist organizations like ISIS and their ambitions. Russia’s military power has vaulted it to play a key role in the Iraq crisis. Few Russia recently delivered Sukhoi 25 fighter planes to Iraq. 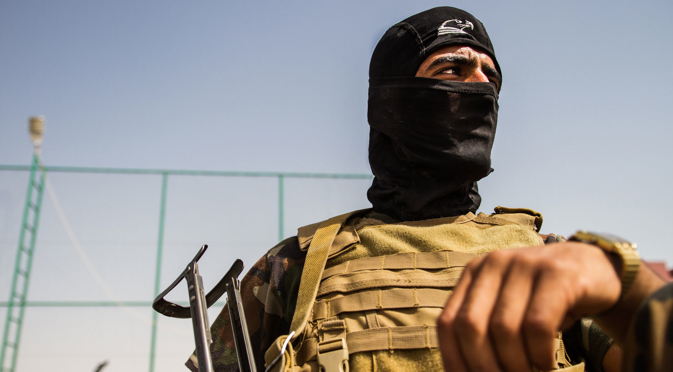 The deal pegged at $500 million will help the distraught al-Maliki government to fight the ISIS forces. The Iraqi government has expressed disappointment at the US support in tackling these forces. Russia may swiftly act in terms of supplying weapons and other resources to fill the vacuum, and come to the aid of the fragile government. Understandably, the Iraq crisis is more than meets the eye. Great power ambitions, energy resources and strategic location of Iraq makes it cynosure of many eyes. Perhaps these factors should motivate instead of discouraging the players to address the crisis in union. Any failure of Iraq will further sharpen the sectarian strife, and polarize the differences between Iran and Iraq, and perhaps plunge the countries into conflict with more destruction than the disastrous bilateral wars, also known as first Persian Gulf War, of 1980s. Russia which enjoys good relations with Iran and Iraq can use diplomatic resources to bring the two countries closer by encouraging reconciliation between different factions. By enlisting support of Iran, and other partners such as India and China, it can help defeat of the extremists. Russia and India can work together towards a political solution of the crisis. Rybakov rightly pointed out, “there can be no alternative to a political solution” to the crises in Syria and Iraq. Dmitry Rogozin’s visit last month to India helped promote this joint resolve, and coming days may witness joint actions in the crisis torn country. Iraq is soon turning into a humanitarian disaster with more than 1000 people already dead and 1.2 million displaced. India and Russia can play key roles not only to stem the extremist onslaught, but also to promote peace and stability in the region.